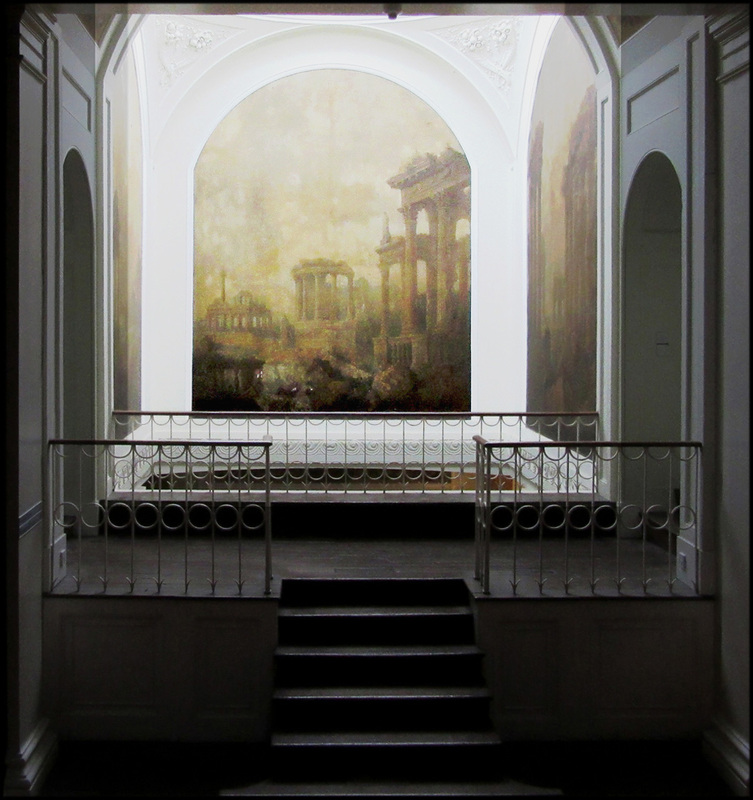 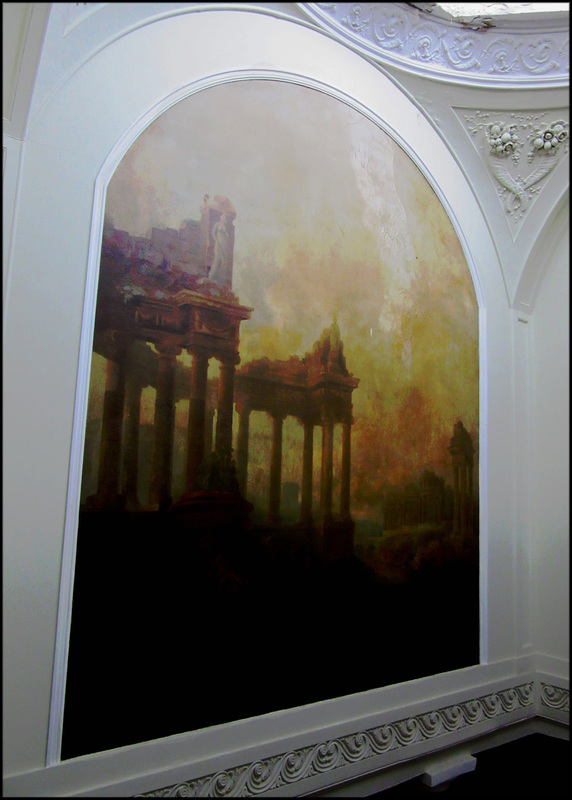 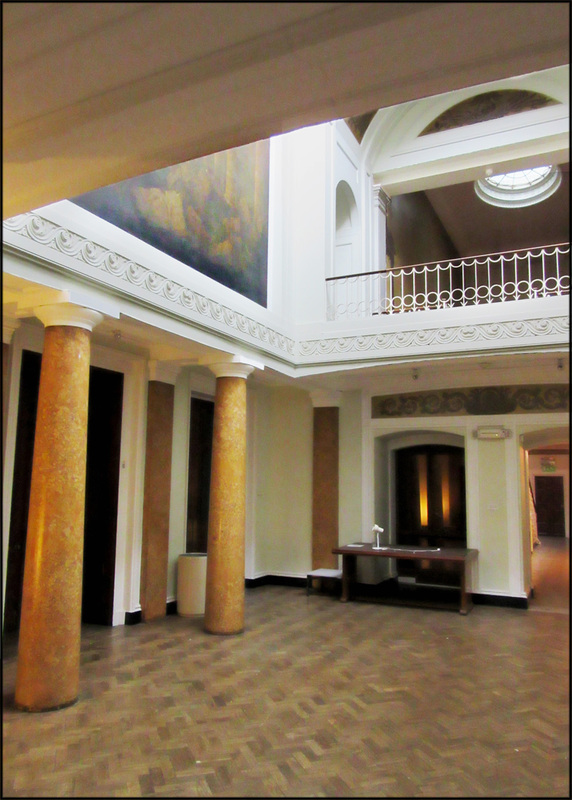 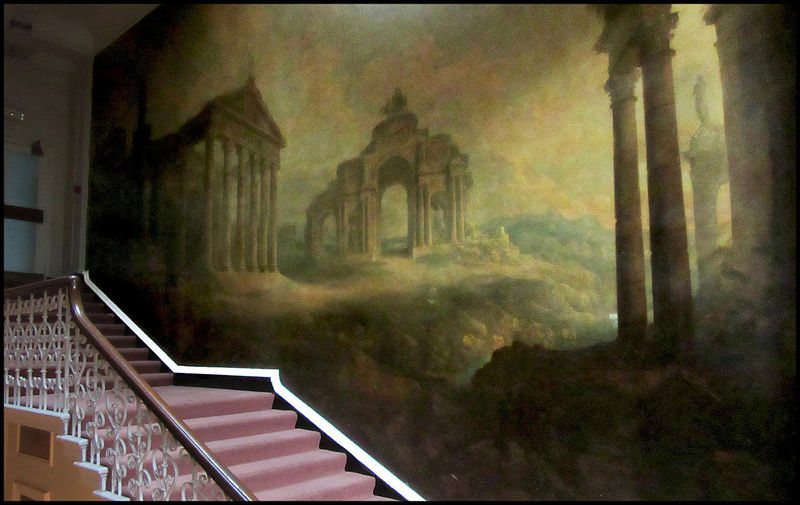 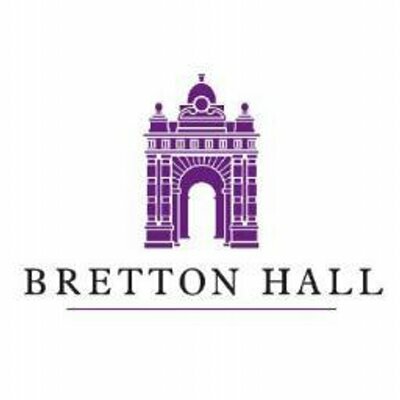 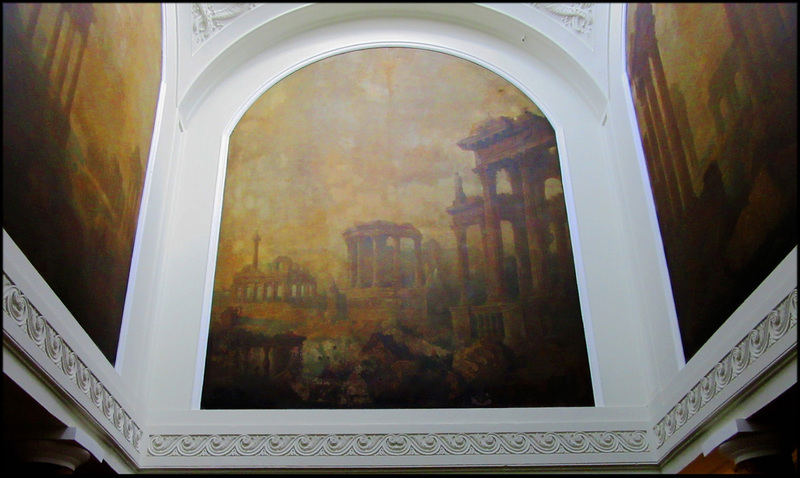 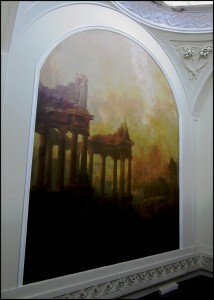 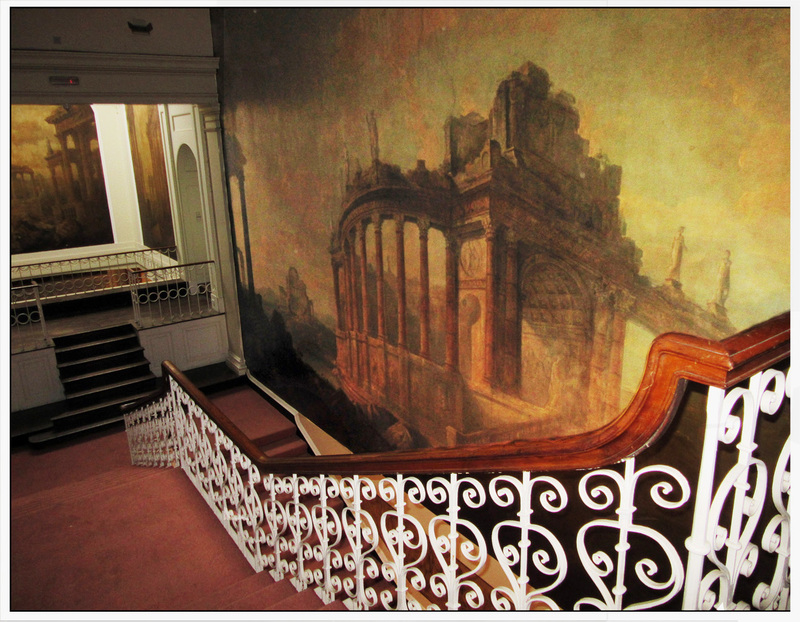 Perhaps one of the most spectacular visions inside Bretton Hall is the collection of murals that adorn the walls of the classic Georgian stairway and the Vestibule (latterly known as ‘Pillar Hall’, or the ‘Painted Hall’). Although the name of the artist has not been recorded, there is significant evidence to suggest that the painter was Agostino Aglio, who was born at Cremona. 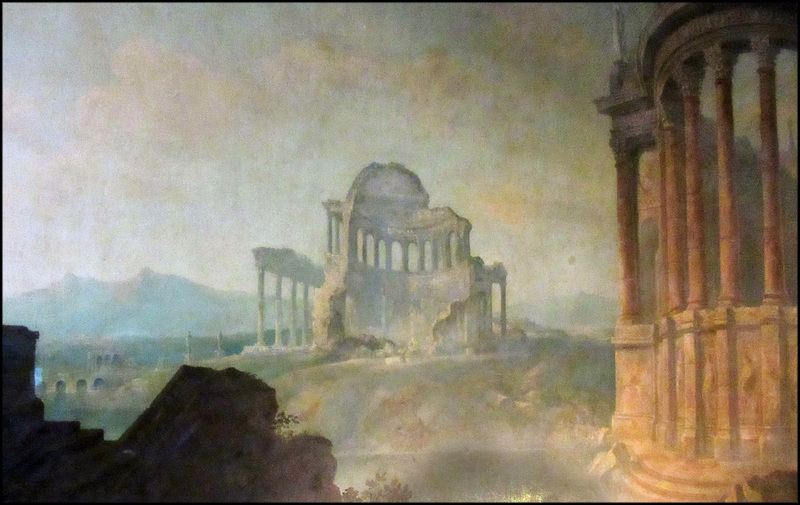 In 1803 he came to England to assist William Wilkins, the well-known architect, in the production of his Antiqities of Magna Graecia, which was published in 1807. 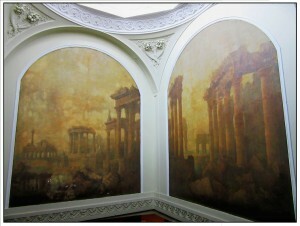 He settled in England and soon obtained commissions for decorating country houses and public buildings. As the illustrations show, the paintings depend for their effect on their strong chiaroscuro (i.e. 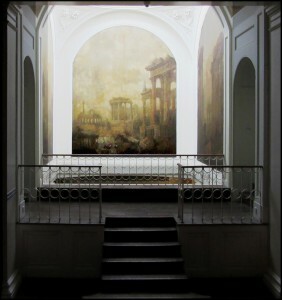 the use of bold contrasts between light and dark, affecting a whole composition). The foregrounds, which are in shadow, are littered with fragments of friezes, columns and capitals.